Here you can find my interview with Mullins' producer Reed Arvin. Here you can find my podcast where I interview the film's director, David Leo Schultz. Here you can find my reflection on A Liturgy A Legacy And A Ragamuffin Band. And here you can find my thoughts on "The Theology of Rich Mullins." Two years ago I read some strange news on Christianity Today's entertainment page. Apparently somebody wanted to make a movie about the life of Rich Mullins--not a documentary but a biopic, much like Ray or Cash, or Ghandi, for that matter. They had a Kickstarter campaign going with the hopes of funding the film, and they had made a great looking "teaser trailer" that contained a monologue from Brennan Manning himself, one of Mullins' mentors. The Kickstarter ultimately failed and I thought the film went the way of the buffalo, but apparently the film has been made and is in the process of getting released. I was pretty skeptical about this idea right from the start and to be honest, the trailer for the film (now called Ragamuffin) has done nothing to assuage my doubts. I mean no offense to the filmmakers but it all looks a little too "inspirational" if you catch my drift; perhaps with a little too much of "this was made by Christians" stamp of approval on it. I don't know...trailers can be deceptive, so we will have to see. The problem in making this film is the same problem anyone would have in trying to capture the life story of an iconic and iconoclastic personality: unless you get the right actor and great material to work from a project like this will be D.O.A. Again, I mean no insult, but does anyone think the actor playing Mullins here will do him justice (see the link below)? I certainly want to see this movie and I know the filmmakers went through all the right channels in their research (see the links below the the film's director's blog) but I just hope I will not have to cringe my way through the whole film. The life and work of Rich Mullins has had more of an impact upon my faith than probably anyone excepting my mother's, so I just do not want them to have blown their chance to make a great movie. With a film like this they have an opportunity to introduce new generations to Mullins' music and ideas, but if they have made a syrupy cheese-fest then the chances of them doing so are a lot less likely. So, what I am going to do is let you, the humble and faithful blog reader assess it yourself. Take a look at the Ragamufin movie trailer and then spend some time watching Mullins himself--in concert, in interviews, and in doing some talks. I have decided to entirely overwhelm you with choices. Let us all be thankful with what the internet has made possible! check and he was kind enough to take this picture with me. The Theology of Rich Mullins. OK, onto the slew of Mullins Media. Finally, regarding the film, here are some links to the blog of the film's director, one entry written a few years ago tells how they researched for the script and another entry written more recently recounts a conversation the director had with Mullins' brother about making the film. When Mullins died in 1997, as a spiritually hungry teenager I was desperate for more material from him. There was not a whole lot out there though. Eventually The Jesus Record came out and then a few years later an album of rarities, demos, and concert recordings (Here in America). On top of that, a friend of his wrote a "spiritual biography" of his life (An Arrow Pointing to Heaven) and they also released a collection of the articles Mullins wrote for Release Magazine (which you can now find in this format). Still, all of this was not enough for me. Somehow (and remember this was before Google or even Ask.com) I found my way to a Rich Mullins tribute site. Someone had compiled a TON of his interviews, talks, and concert transcripts. They even had the Release Magazine articles on there. I encourage you now to visit this amazing site, which has not been updated since 2002 and has a very special "made in 1998" graphic design vibe: "Calling Out Your Name". (you can even listen to Mullins' music in midi format, because, really, who wouldn't want to do that?) Seriously though, the site may be cheesy but there is so much good stuff on there. Now. A fun thing to do is to go to Youtube and just type "Rich Mullins" into the search line. This will make many videos instantly available to you. But perhaps the glut of videos present will be overwhelming to you and you would appreciate a guide. Thankfully for your sake I am here to help. Obviously, a lot of these videos are pretty lo-fi, but I figured if you want something more mainstream those will be easy to find anyway. I anything I've given you a way to spend a few of your evenings. Blessings to you and blessings on this Rich Mullins film. May it be God's and may it bring glory to God. I'm with you, Chris. I have to say I'm praying for this artistic effort because Richard was such a very hard act to follow! I don't personally know of any actor who could do him justice. . . but then, I knew Richard quite well, so my standards are high. I have to realize that no actor, no film can carry him back to us on this side of the Jordan. Richard used to read to me from "The Little Prince" about the fox who begged to be tamed, and the rose the Prince was devoted to. I will do my own part to remember him as I knew him: an untameable man whose torrent of talent cascaded from a broken heart belonging to God. Thanks for your words Pamela. I'll read "The Little Prince" differently now. Where did you know Rich from? Chris, we met our first day at Cincinnati Bible College as freshmen in 1974. I was there under duress, accompanied by a personal library that included Siddhartha and Steppenwolf by Hesse. Richard spent our first few months introducing me to his version of Christianity--contrasting it with the Fundamentalist exposition there on campus. He described himself as a Quaker, although he'd attended a Church of Christ most of his life. He was one of the few mystics on campus. thanks for your comment and thanks even more for putting your videos of Rich Mullins on youtube. Blessings to you in your music career. Chris - thanks so much for this information! I totally blew off CCM until a couple of years ago. Incomparable music. For some reason, I think of Rich as being in a small group with Lewis, Bonhoeffer, Nouwen. I'm a fairly non-emotional type, but I found myself actually grieving the fact Rich is not here. Stumbling on the Jesus Record was like coming on a Spanish galleon laden with retrievable gold. What a shot in the arm: the music devastates and builds up. As for the movie, I'm prepared for the fact that it likely won't encapsulate all the nuances about Rich that one would like. I think that's because Rich was a meteor himself, changing, elusive--yet knowable. In a way, I think the movie will be more about how Rich, through God's grace, changed us. Just saw Ragamuffin and got to hear from the directors and writers and producers. It's a sobering look at this deep and intense man that had such an influence on so many of us ragamuffins. I'm thankful I saw it -- makes me want to get real with Jesus again. I too was nervous about how this movie would turn out, but after seeing it last night, I was very pleased with the final product. I liked how they told his life story (part of it anyway)using his music. There clearly was a message to be conveyed, but I think that is what movies should do. Having an entire shelf of my library dedicated to Rich Mullins related material and having been a passionate fan for many years, I was not at all disappointed in the movie. Rich's music and teaching have struck a chord in my life for many years now. I consider him the brother (twin) I never had and never really met but feel that I know well. I'd definitely recommend the movie to anyone! I saw RAGAMUFFIN yesterday, and I also watched the documentary they were selling at the screening. I wrote a post yesterday, deleted it, then decided to speak again. I have never posted anything online, so it just feels weird. The movie was well done, except for the disappearing/reappearing hair (you just have to see the movie). My impression is that it came down on the heavy side. According to the film, Rich was a lonely, depressed,angry, emotionally labile, controlling man who smoked like a freight train, drank like a fish, and did an awful lot of lying in bed when he wasn't driving or performing. If this is how Rich was behind the scenes-and he was very clear that the fans only saw what he wanted them to see-then he had a "Poser", as Brennan Manning would have put it, of the finest construction during concerts and interviews. There was no joy in this portrayal of Rich, no light in the eyes, no goofy smile, no infectious laugh, no dry jokes and most disappointing, very little of his music. Why do you need a dramatic underscore for Rich driving across the plains when you have "Calling Out Your Name" or "Everywhere I Go"? I would recommend the movie to fans. It is not a good "introduction" to Rich Mullins or his music if you don't already know the endearing, authentic, profound, funny, challenging, hopelessly flawed, accepted beloved sinner and his work. thanks so much for your thoughts. I think it's interesting how you both saw the movie differently. I think you reveal an interesting tension about creating a work of art about someone's life. If it's true they didn't portray Mullins' humor and joy enough (I haven't seen it yet) that makes me sad. I'm sure it was hard for the movie makers to balance showing the depth of his despair and how much he needed God with the more light hearted parts of his life. I saw the movie last nite, I do agree about the hair, long then not. The movie was amazing. I was expecting something way different. So see a man so humble and completely human, stumbling and imperfect. But his love of God was amazing. The way he lived his life! He was truly a beautiful man. However I do think some Christians will not like this movie, because they showed the real Rich...a person just like the rest of us. I do plan on seeing it again. I watched this last night as well not knowing much about Rich before entering the showing. All I can say is that I was really impressed with how real, honest and untamed it felt. Inspired me to be a better, more real and simple person seeking a real life relationship with God. This is something I haven't had in a while. I highly recommend this film. Thanks for your words. I'm humbled somebody in the film has read this blog. I got to see the film this past week and will get to see it again later this month. I"m glad the film was made. Mullins is a very difficult subject to tackle. I can definitely see all that the filmmakers put in to the film, especially about Mullins and relationship with God. So, depending on your perspective, the movie was definitely a "Christian" movie, but there's a lot of debate about if there is any such thing as "Christian" art or not and I don't mean to actually have that debate here. I appreciated the artistry in the film and look forward to seeing it again. Thanks for linking to the '96 Ichthus Festival interview; I found that really interesting and had never seen it before. Rich's music had a big impact on my life, as well. 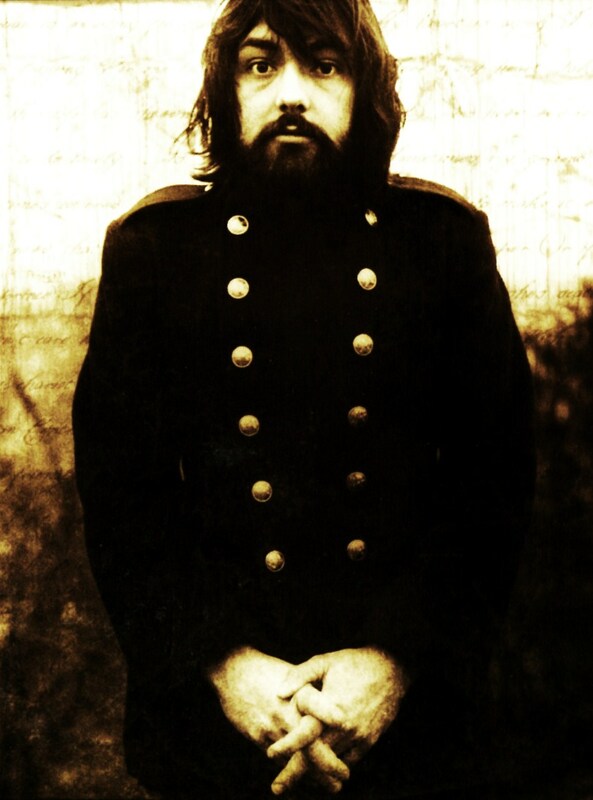 He is one of the most lyrically gifted songwriters in all of modern music, in my opinion. I saw the movie last night, as well. It drove home the point that a lot of pain in life can come from your relationship with your daddy. Also, it was so interesting to see how the movie portrayed God systematically removing people from Rich's life so that he would not be able to worship those people instead of God. I have been a fan of Rich's since late 1980's when I was in med school learning to play hammer dulcimer and writing Christian songs then discovering this guy with a goofy voice and incredible songwriting chops named Rich Mullins. I put away my aspirations to be a CCM artist and finished med school and became an internist and geriatrics specialist (still playing as much as I could) In the ealry 2000's I saw homeless man video and was inspired by Rich's fransciscan spirituality which eventually led me to reconnect with the Catholic faith I left as a teenager. When I saw the movie, I was disappointed with the way it ignored his journey to Catholicism and seemed to highlight the negative aspects of his life. If that movie was totally true, then Rich had no right to go on stage and criticize other Christians when night after night he was getting blind drunk and verbally abusing his friends and loved ones! I understand struggles with addictions but have to believe in the last two years of his life he was starting to clean up his act living on the reservation, going to mass daily, and counseling with a priest to enter the Catholic Church. I don't understand why his own brother would want his legacy to be shown as this movie showed, a deeply disturbed substance abuser with occasional bursts of genius. It did not highlight his humor, his love for others, and the many things that were known to be true about him. The sum of Rich;s life was not a struggle with substances and alcohol as the movie could ultimately make one walk away with. I hope and pray that Rich's journey was eventually going to give him the lasting peace of Christ that he was seeking. The movie failed to show this, instead highlighting all of his flaws. Why did the producer and his brother do this? Your thoughts? I did see this movie when it first came out at the Christ Church in Mason. I was excited to see it and bought tickets ahead. I have to say, your team and I know that this movie was not exactly true to his life. You presented what you thought would be accepted by other conservative Christians and I have to wonder if Rich would have said the same thing. Like David in the Bible who's life of fruits and faults where splashed all over different parts of the Bible, I would have hoped that you would have done the same of Rich's life. It is widely known that Rich was gay, or at least bisexual. And you know what, I'm ok with that. I believe he was born with those attributes. I also believe his parents were well aware of that by the way he was in touch with his feminine side and loved to sing and play instruments instead of do other things that straight boys like to do. As a gay man he was blessed with these talents and gifts. These are differences that can and should be celebrated. I wonder now if some gay friendly friends will come along and tell the rest of the story that the Ragamuffin team left out. Shame on you for not providing a more realistic view of all of his life. I am one of many that know of such truth. I have to wonder if Rich was still alive in today's age if he would have come out of the closet out of respect for himself and so many other gay Christians that love the Lord. He sure had the ability to go against the flow of conservative evangelicals and set his own progressive Christian faith, as well as write beautiful heart-felt progressive Christian lyrics. Love for all of God's children was how he rolled, gay or straight!! It's true, the gay Christians of this world miss him! I just watched this movie, and I found it very sad. I've never heard of Rich Mullins before now (apologies), but all I saw was a very broken and confused man unsuccessfully trying to deal with the emotional abuse from his father. I googled Rich, watched performances/clips/interviews, and saw a totally different person. I'm not saying the movie was inaccurate, but I think maybe they left out a lot of the 'Good and Funny Rich Mullins'. This movie's portrayal made me see Rich Mullins as mentally ill and rather scary. My husband and I went to see this movie a week ago. I would have never guessed that Rich Mullins was so tortured but was glad that it was made true to who he was as a person and a musician. What I really loved was that through all of the troubling times Rich never gave up on God...this was huge to me...huge! I love this man's honesty about who he was and what he contributed as a christian man until God took him home. My church is hosting an evening of performances of Rich's music in September, and I'm putting together the poster for it. Could you let me know where you obtained the image that became the cover of "A Liturgy, A Legacy..."? I'd like to try to obtain permission to use the image on the poster for the event. Any ideas? So I didn't obtain the image myself. It's a great question. I believe Ben Pearson took the photo. Ben, along with being a photographer, is also a filmmaker, still living, I believe in the Nashville area. He might be the one you should go to. Just saw the movie on Netflix. I'm sorry, but it was depressing. Yes, we all have our cross to bear, but for me I saw excuses. We all are products of the choices we make. My mom always quoted the verses, "be sure your sins will find you out." and, "you reap what you sow". This was a sad and depressing movie. No inspiration at all, do NOT watch this if you honestly have issues with depression and loneliness as you will not be inspired, just more depressed at the realization that someone devoted to Christ who had exceptional talent and used those FOR God was never given relief from his misery. Maybe he was in reality but this movie sure doesn't make it seem that way and that's about how my life has gone. The movie depicts a guy who ADORED Jesus his entire life yet he NEVER stopped feeling alone and miserable, except when he had a woman to love him or a drink in his stomach...but she didn't because she abandoned him and he never loved again. I can really relate to this story, except I have no talent or skills and I'm not dead yet. He might have survived his wreck (as his passenger did) except a semi hit him while swerving to avoid the jeep (not commonly known). I liked the "Jesus loves you for who you are" but that doesn't change how you feel now does it? Not for me. A life of misery in devotion to the Lord but in the end you get taken out by a mack truck...yeah...our god is an awesome god. I met Rich at the Dove events in Nashville many years ago. He was an inspiration to me both musically and spiritually. I did not know him personally, but after seeing the film, I too wondered how he'd feel about the film's portrayal of his life and personality. I don't think it showed his silly, quirky creativity as well as it could have, but I'm glad the film allowed his music to speak a bit. I completely agree with Chris Marchand's concern of cringing thru the film - I figured I would as well. I actually avoided seeing it because I was fairly certain I wouldn't like it due to the whole, "this was made by Christians stamp of approval" thing, the high probability of it being B-ish, and doubtful the filmmakers could even remotely encapsulate the multi-faceted depths of Rich Mullins. I was pleasantly surprised that although those elements existed, thankfully Rich and his message come thru as the stronger forces. On the heady side of the portrayal of Rich, well, we all have our demons, and most don't want them on display for everyone else to misunderstand and judge, even though God knows no one has any business judging. But now that Rich is transformed, he probably could care less, and maybe even appreciates it. He knew he had a very special message. I for one was glad (and surprised) the filmmakers were brave enough to show these personal struggles. I’m sure that wasn’t an easy decision for Rich’s family. At the time I met Rich, he talked about perceptions in the Christian music community, revealing his strong awareness of “public responsibility” as a Christian artist. He fought that, embraced it, and vice versa, but it followed him nonetheless. Until things are finally “made new”, by the only One who can, judgment in the Christian community will remain prevalent – ridiculous and sometimes very subtle, yet so damaging. It's in and thru our brokenness that God reveals his grace and healing, and this is a very personal, intimate thing between each of us and God alone. An individual’s path has its own timing and unique nuances, the end to which makes no sense in the way we see things now. Anyway, I love Rich Mullin's music, his realness, his deep desire for relationship with God, and his utter awareness of his own brokenness. Regardless of whether he lived as a monk or ragamuffin, actually maybe especially because of that, he was an inspiration to me. The film lit that match of inspiration once again, for which I am grateful. I work in Christian drug rehab - we see these realities everyday. This movie described and brought out something that words can't articulate. It is profoundly and deeply impacting. The producers may not have captured everything, but they produced something that swept through our organization and I personally know dozens of people who had a life altering experience because of this movie. It is amazing to me how people criticize this as negative. This is the journey for broken people. This is real stuff. Real life. Take off the pretty masks. Raw and real. But it isn't sad and depressing. He discovered the power of a God who loves unconditionally. He rejected mainstream Christianity. The main point rested once he met Brennan Manning and discovered the power of God's love. Our clients watch this, and it impacts everyone deeply. I cried so hard during this movie - it brought out the reality of human failure mixed with redemptive truth and love. And the fact that everything we are will be swallowed up in eternity. I veiwed this movie on Netflix last night. I am a Christian, who sang Rich Mullen's music in my church attendance often over the years. Amy Grant Fan. I am upset on the basis of theology, physchologically with the experiences Rich Mullins had with his parents and his friends. I see emotional abuse and Rich's lack of personal growth into a man of integrity, emotional well being, and he lacked an understanding of love and relationships from his abusive home. His mother was an enabler, and his father cruel. His life ended tragically - ad the whole movie left me in a very disturbed sad aftermath having seen it. I am writing here because of my reaction to seeing Rich Mullen's life. Very disturbing. The people called the Church, need to add healthy emotions and psychology into their life style. This movie showed religious abuse as well. I am for genuine healing on all levels - we are heart, mind, soul, spirit, body - and ll of these areas need healing, teaching, how to relate responsibly to live well. (and that is not sinful by the way).. and pass it on. It's the "music" folks...it is demonic and slowly tortures and destroys us...I know I was on the front lines of pushing this into the Church in the 70's. It wasn't until I destroyed all of this music that I was able to get my walk together...ya got all sorts of "issues" in your life and home? Throw this music out and watch how much of it will settle down...yep, it's the music. I love the movie Ragamuffin. I think they did a great job at creating this movie. I normally don't like most Christian films because they are so unrealistic and corny. This movie was not like that at all! Loved it! I've loved Mullins music for many many years and watched the movie. I cried through so much of it.. in the movie he seemed broken.. fully, totally, broken.. like we were before salvation. Am I supposed to believe that with the Lord in his heart he was so depressed and without hope? I took the movie fully off of my Netflix, to even see it brings me such despair. I have a way of felling others emotions and this was too much for me. I hope Rich had led a very fulfilled life as the Lord's son, preaching His love and mercy. I hope this movie is not truth. But what is, is. What was, was. Ragamuffin bothered me so much that I watched it 3 times to figure out why. This movie took Rich Mullins, a talented, honest, complex believer and turned him into an angry, dark, confused seeker. The hero of this movie was Brennan Manning, not Jesus. Many of the details of this movie were simply untrue and many of the characters were fabricated. Just like all of us, Rich Mullins had struggles. But in this movie his character was narrowed and manipulated to fit the Ragamuffin narrative. I know that Brennan Manning had a great impact on his life, but I feel that it is dangerous to exalt one man's theology as much as this movie did. It is interesting to note that the director is now working on a film about Brennan Manning. As someone who is in the counseling field, I can honestly say this movie is a breath of fresh air. It shows a man who loved God, but struggled in ways that many of us do and because of these struggles we often feel we are not good enough for God. What critics of this movie are missing is that there was a scene where Rich was able to lay his anger and hurt to rest and move on. What I most loved about the movie was that he understood the love of God and did not doubt his salvation, even through his struggles. I also saw a man who although intellectually aware of his salvation, had difficulty understanding God's love. Rich's retreat gave him the peace he was seeking. He gives me hope as a flawed human being, that God still loves me and that masks don't conceal who I am from God. I saw a Christian who was honest. He reminded me of David in the Psalms. Great film. Not cheesy at all. I have already used it for clients in therapy. I meant that although he understood God loved him, he could not internalize it. Also, if the movie is true to Rich's behaviors, he displayed a lot of autistic traits. Tics, anxiety, deep feelings, difficulty with eye contact, somewhat awkward socially, reclusive, sensitive, gifted, will little need for company, difficulty with changes and transitions, inflexible and perfectionist. It is likely why he had mood swings, difficulties with addiction, and OCD type behavior with sensory issues (clothing, shoes or lack of shoes). are you trying to get your comment deleted? Your post is inappropriate for my site. You could have said many of the same things without being so crass. I will give you 1 day to respond with a different comment. Either way, the original comment will be taken down. I'm ok with different opinions being expressed, but not bigoted or insulting or crass language. Contemplative prayer, Contemplative spirituality is dangerous stuff. I didn't realize Rich Mullins was influenced by such false and unbiblical teaching. 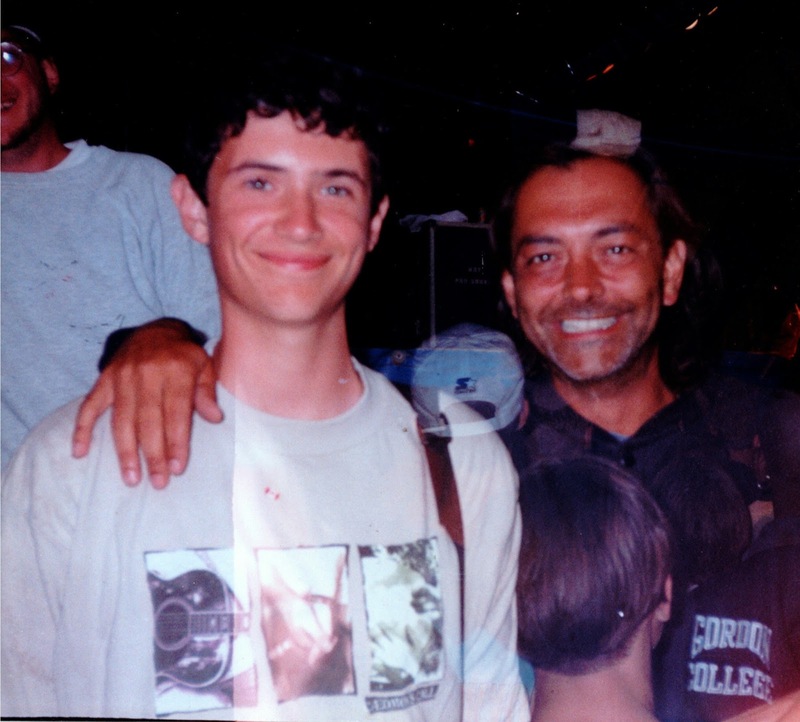 That pic of you and Rich at Cornerstone '97. I was there, too! In fact, before the show, Rich and Jimmy Abegg were out by the main stage, hanging out with fans and singing choruses with them. I still have my photo of me and Rich framed and up on our piano. I also got my 15 minutes of fame there. Rich and Jimmy eventually went up on the stage but kept on leading us in songs. When they did "His Banner Over Me Is Love", I, just goofing around with my friends, started doing the motions. Rich and Jimmy saw that cajoled me to get up on stage with them. So I did, and did the motions for the song while they led the singing. I went on to make up the motions of several more songs and made a proper idiot of myself. Rich eventually snuck away, leaving Abegg alone to deal with me. I got a backstage pass out of the deal so I was able to watch that show from the back part of the stage. It was so cool. Sixpence was there too. I wish I hadn't been so shy. Hanging out with all those people I would love to go back in time and talk to them a little. I remember after Rich's set he walked past me on his way off the stage. I shook his hand and said "Great job!" and he smiled and said "Thanks!". Thanks for bringing that memory back for me. I whole heartily agree. I felt down and agitated watching this movie. How could someone who God touched so deeply hate life so much? I don't know. Many of us had hard childhoods, but I can't see that as an excuse to drink, smoke, and walk around depressed every living moment if every day. Sad.